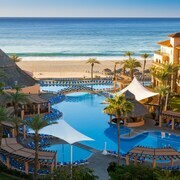 Nestled on the beach, this Marina hotel is within 1 mi (2 km) of Cabo Dolphins, The Arch, and Lover's Beach. Land's End and Solmar Beach are also within 1 mi (2 km). 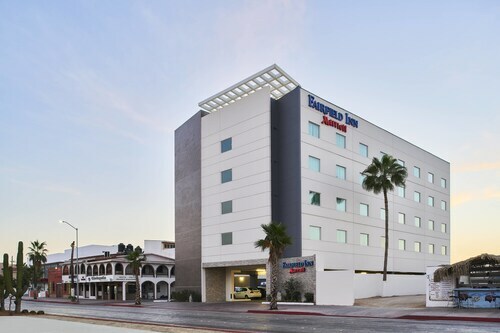 Located in Downtown Cabo San Lucas, this hotel is within a 10-minute walk of Huichol Collection and Marina Cabo San Lucas. Medano Beach and Lover's Beach are also within 1 mi (2 km). 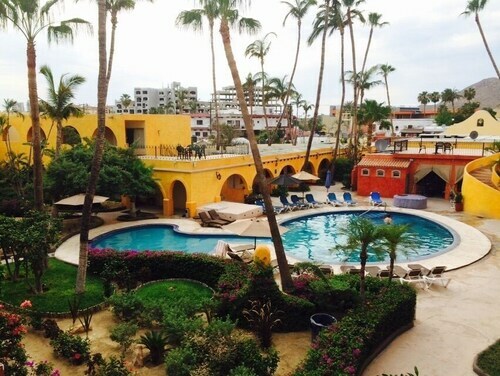 Nestled on the beach, this Zona Hotelera resort is within 1 mi (2 km) of Club Campestre Golf Course and Costa Azul Beach. 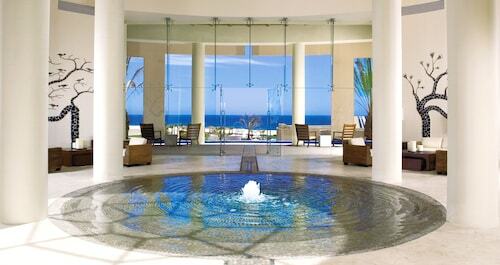 Los Cabos Convention Center and San Jose del Cabo Art District are also within 2 mi (3 km). 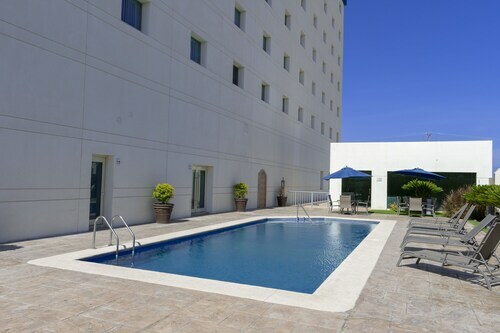 Located in Downtown Cabo San Lucas, this hotel is within a 10-minute walk of Puerto Paraiso Mall and Marina Cabo San Lucas. The Arch and Land's End are also within 2 mi (3 km). 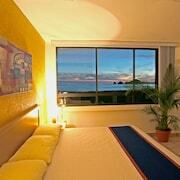 Nestled on the beach, this Cabo San Lucas hotel is within 1 mi (2 km) of San Lucas Bay and Medano Beach. Monuments Beach and Plaza San Lucas are also within 3 mi (5 km). This oceanfront, boutique adults-only resort with cutting-edge, minimalist style sits by itself on a rugged 4-km (2.5-mi) stretch of sand beach on the Pacific side of Cabo. Located in Pedregal, this beachfront resort is in the entertainment district and within 1 mi (2 km) of Playa Las Viudas and Solmar Beach. Lover's Beach and The Arch are also within 2 mi (3 km). 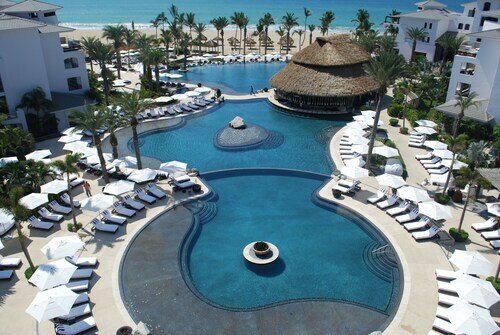 How Much is a Hotel Room in Los Cabos? 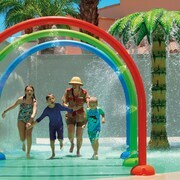 Hotels in Los Cabos start at C$65 per night. Prices and availability subject to change. Additional terms may apply. 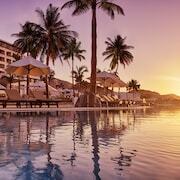 Los Cabos is the inclusive name for the whole southern tip of Mexico's Baja California Peninsula. 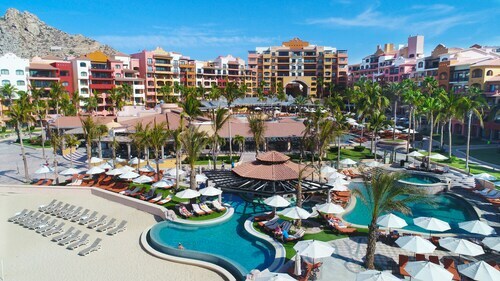 This area includes two cities: San Jose del Cabo and Cabo San Lucas, as well as Los Cabos resorts located on the coastline between the cities. 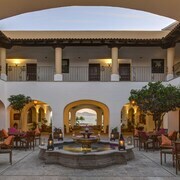 Hotels in Los Cabos are abundant throughout this dramatic desert seacoast, offering luxury, geographic isolation, and visual drama to help you escape the demands of your daily life. Crystal-clear air, salt water and warm beaches will soothe you like a spa visit. If you visit in winter, you can go out in whale watching boats for up-close views of the humpbacks, gray whales, orcas and minke whales that spend the season in warm local seas. 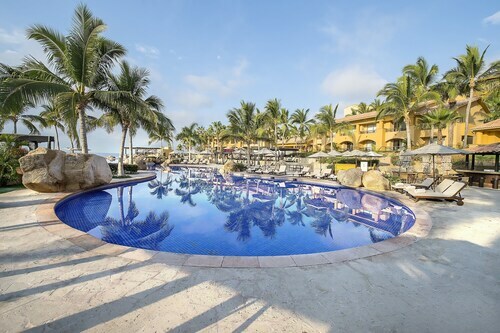 Just about every water-related activity is readily available from Los Cabos hotels, including sport fishing, kayaking, surfing, diving, parasailing, and even submarine trips and swimming with dolphins. 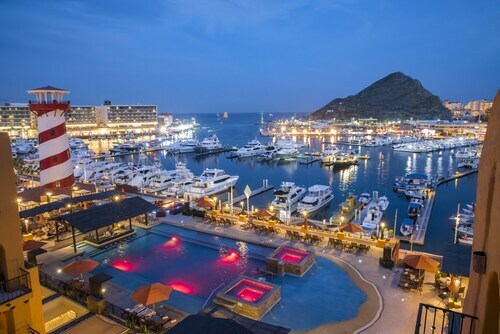 When you're ready to rinse off the salt and rejoin an urban environment, you'll find that Cabo San Lucas offers one of the most exciting nightlife scenes in all of Latin America. 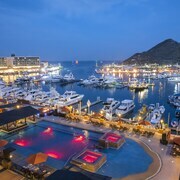 If you're looking for the full tourist experience, try out one of the many restaurants in the marina in Cabo San Lucas. The marina features food that is more on the American than Mexican side, and provides a great spot for people watching and bar hopping. For a more local flavor, check out the farmers market known as San Jose del Cabo Mercado Organico, or one of the seafood restaurants serving fresh fish caught daily. 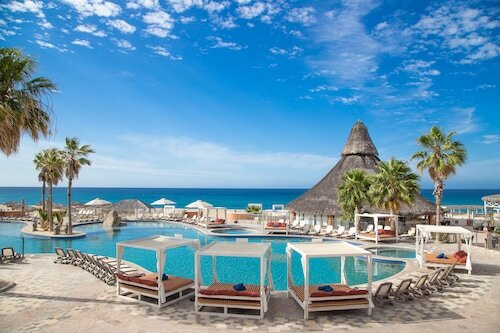 Learn about your choices of Los Cabos beach hotels from Travelocity, and picture yourself stretched out under a flawless blue sky. Book your flight now and make your reservation at one of the hotels close to SJD airport; your vacation is ready and waiting for you! Friendliness of hotel staff. Food selection great. It was Ready for one to get up and go fishing ! Security around marina was nice to have also. The hotel was very clean and the staff was helpful. There is a free shuttle to the airport. The only downside was that the restaurant food was not very good at night. The free buffet breakfast was pretty good though. Very happy for all the services and friendly helpful staffs.